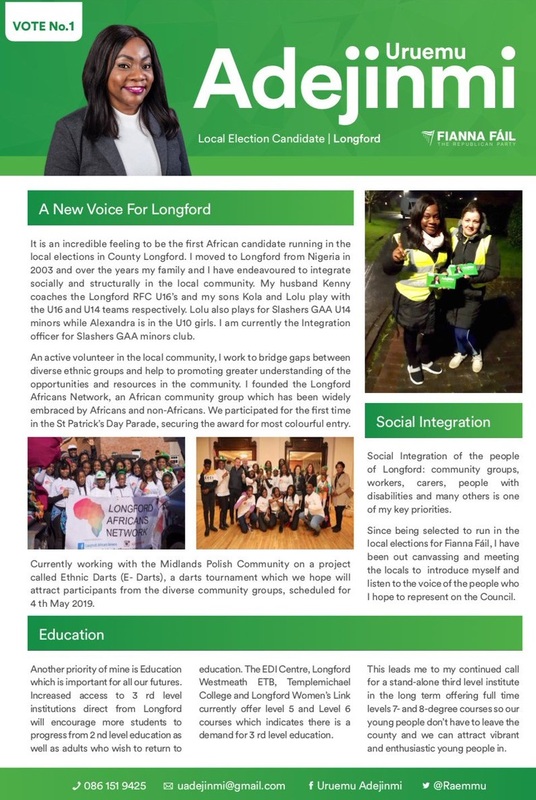 A Leaflet from Uruemu Adejinmi of Fianna Fáil running in the Longford LEA for a seat on Longford County Council. Many thanks to the sender. 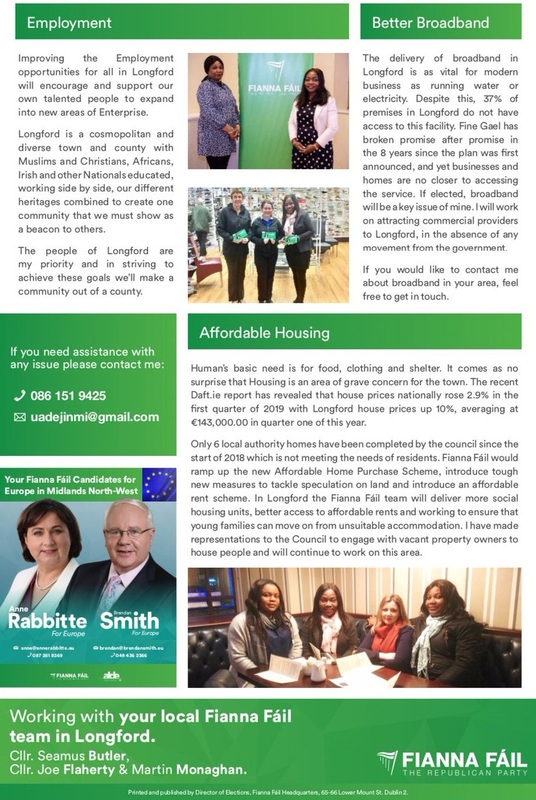 Index of Leaflets from …. God Says No!, Nature Says No!